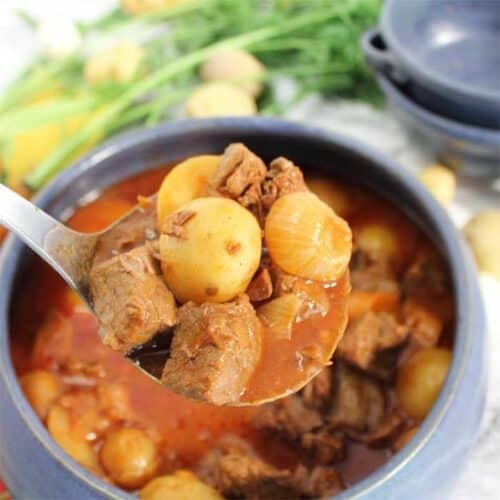 Rich, hearty Instant Pot Greek Beef Stew is an easy comfort dinner for the cold days on winter. A mix of beef, potatoes, carrots and onions in a hearty tomato-based broth that’s both healthy and delicious. No Instant Pot? No problem! Slow cooker & roasting option are described as well. I saw that a big winter storm was brewing over the northern U.S. That means hunkering down and fixing something that warms you body and soul. And nothing beats easy to make comfort foods like soups and stews when the cold weather sets in. 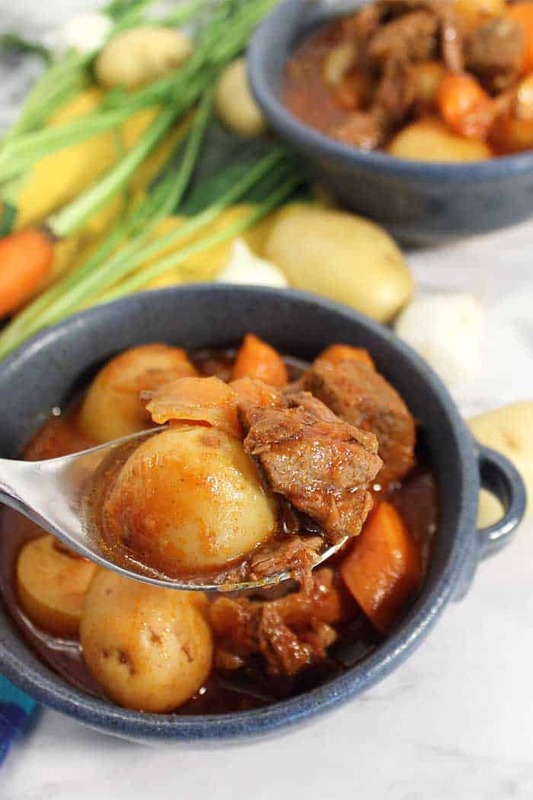 This hearty beef stew has been a standard in my kitchen ever since I was first married, many, many years ago. 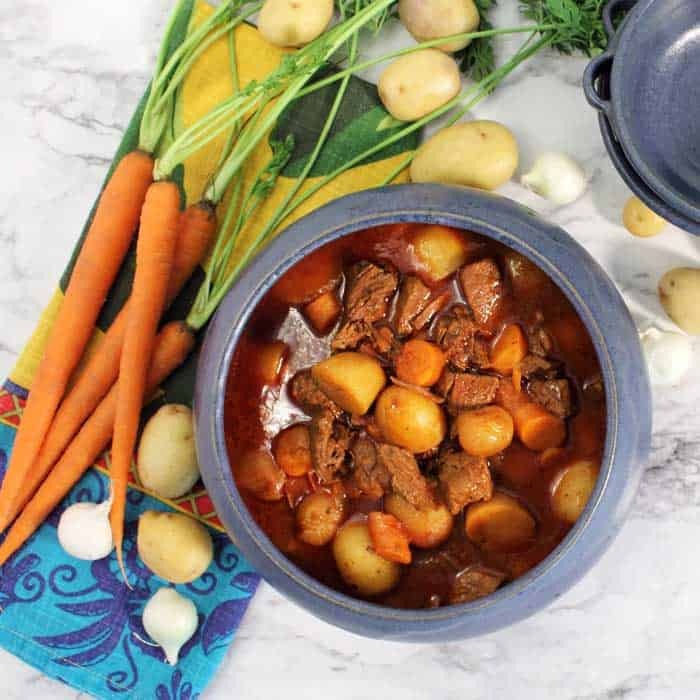 The original recipe for this Greek Beef Stew or Stefato was from a cookbook called The Gourmet Cookbook Volume II. It was given to me by my in-laws for our first wedding anniversary, known traditional as the paper anniversary. The recipes in this 2-volume set have been tested over time and I haven’t found one that isn’t delicious. I adapted the recipe for the Instant Pot as well as the crockpot and it delivers on all the tastes and textures of the original. Plus it saves so much time when dinner has to get on the table pronto. 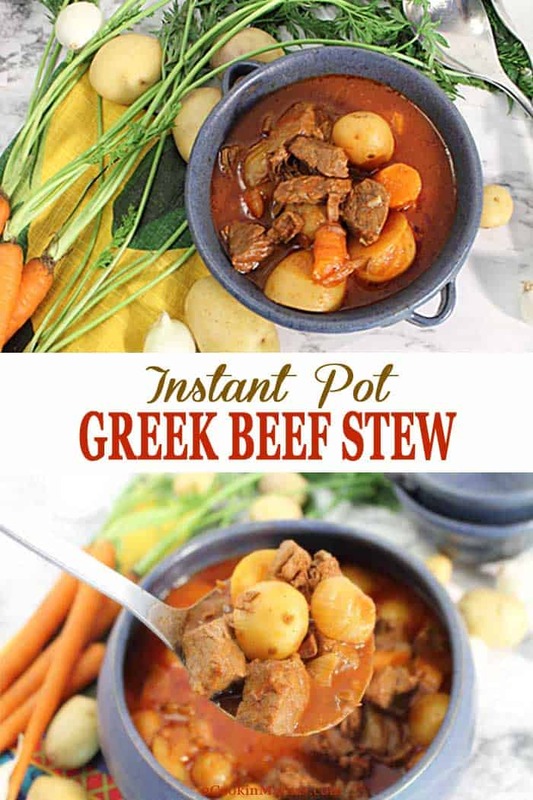 Check out the easy steps to making this delicious Instant Pot Greek Beef Stew. Brown meat on saute mode in 1/4 cup butter. Remove from Instant Pot and add onions. Saute for about 5 minutes or until nicely browned. 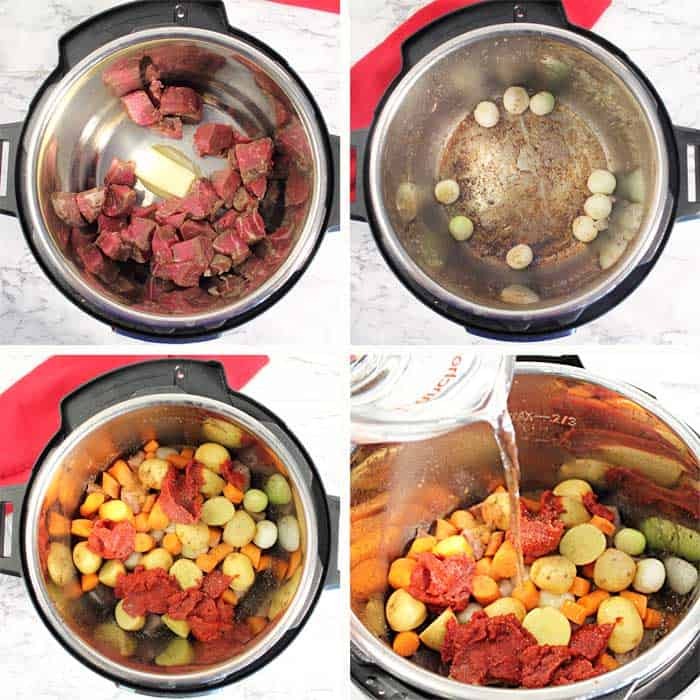 Add beef back to Instant Pot along with remaining ingredients. Add 2-3 cups of eater or enough to cover all ingredients. Cover and cook on high pressure for 35 minutes. Let pressure naturally release for 10 minutes then manually release remaining pressure. 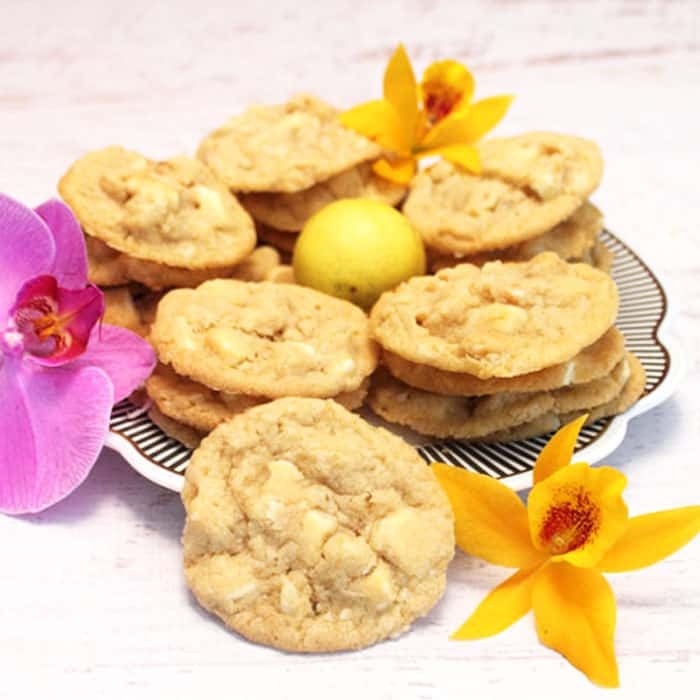 Just look at all that deliciousness! Now, take a bite and savor the wonderful rich taste of beef highlighted with the rich tomato-y broth. I swear it warms me up from the inside out. 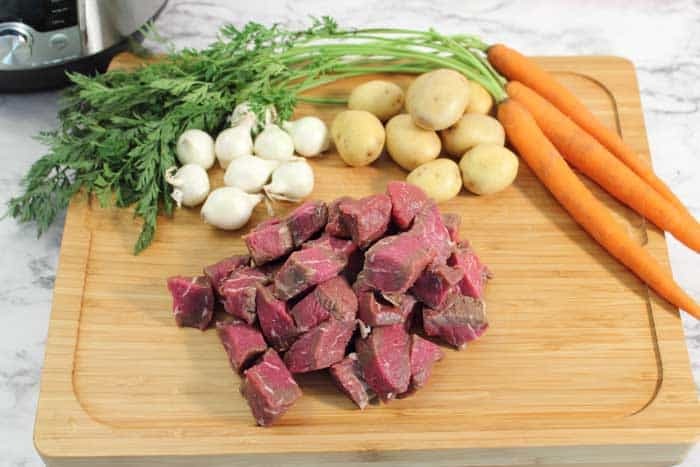 What to serve with Greek Beef Stew. Bread makes a great accompaniment to soups and stews. 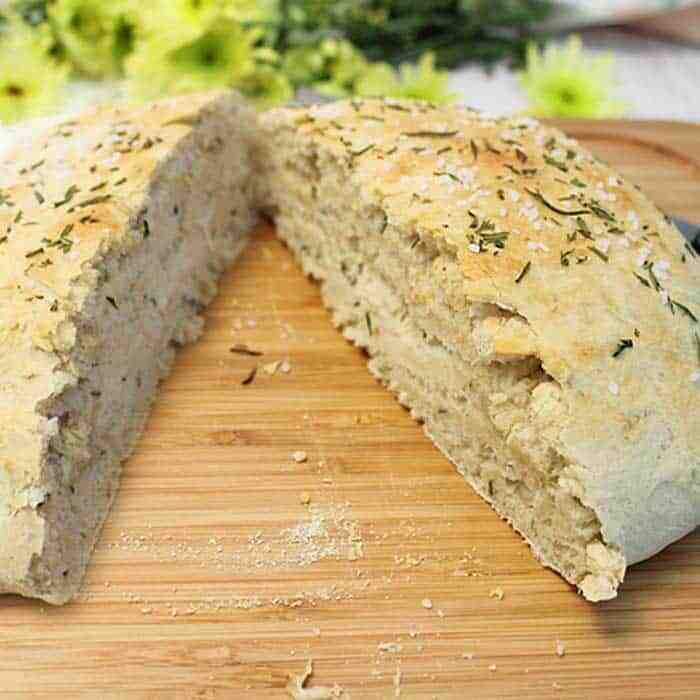 Try this easy copycat Macaroni Grill Rosemary Bread. Like biscuits with your meal? These buttery homemade buttermilk biscuits are the perfect way to sop up every last drop of that beefy tomato broth. 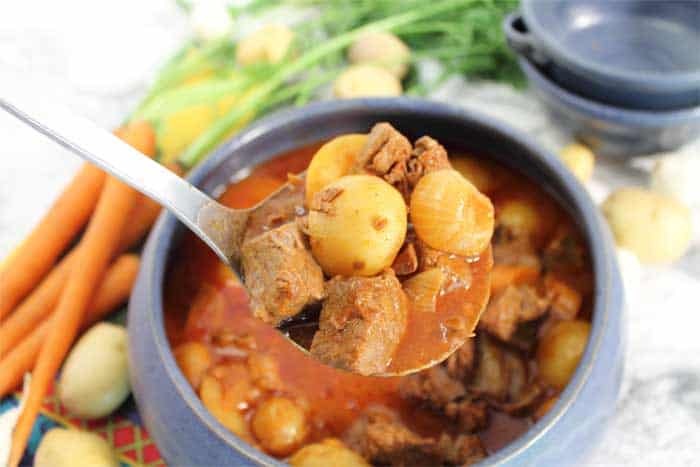 Rich, hearty Instant Pot Greek Beef Stew is an easy to make comfort dinner. Beef, potatoes & vegetables simmer in tomato-y broth that’s healthy & delicious. Turn Instant Pot to sauté mode and cook beef in butter until browned, about 5 minutes. Remove to bowl. Add onions to just a small amount of liquid from beef and sauté for about 5 minutes. Add beef back into Instant Pot with onions along with potatoes, carrots, tomato paste and cinnamon. Add 2-3 cups of water, or enough to cover all ingredients. Lock lid and set pressure cooker to high and cook for 35 minutes. Once it’s done, allow steam to release naturally for 10 minutes then manually release remaining pressure. 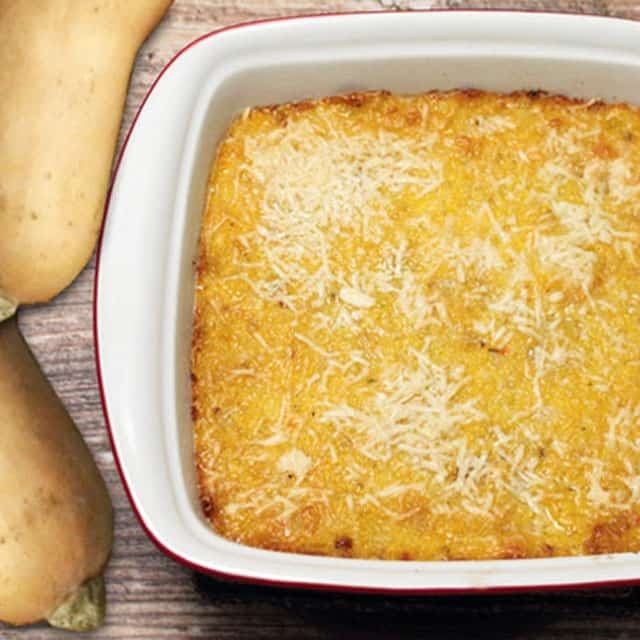 Serve with a nice loaf of warm bread on the side. Crockpot/Slow Cooker option: Brown meat in skillet in 1/4 cup butter. Pour beef and drippings into crockpot and add remaining ingredients. Cover and cook on high for 6 hours or low for 10-12 hours. Dutch Oven option: Preheat oven to 250 degrees. Place 1/4 cup butter in Dutch Oven and add meat. Brown meat on stovetop for about 5 minutes. Add remaining ingredients, cover and place in oven. Slow roast for 5-6 hours. 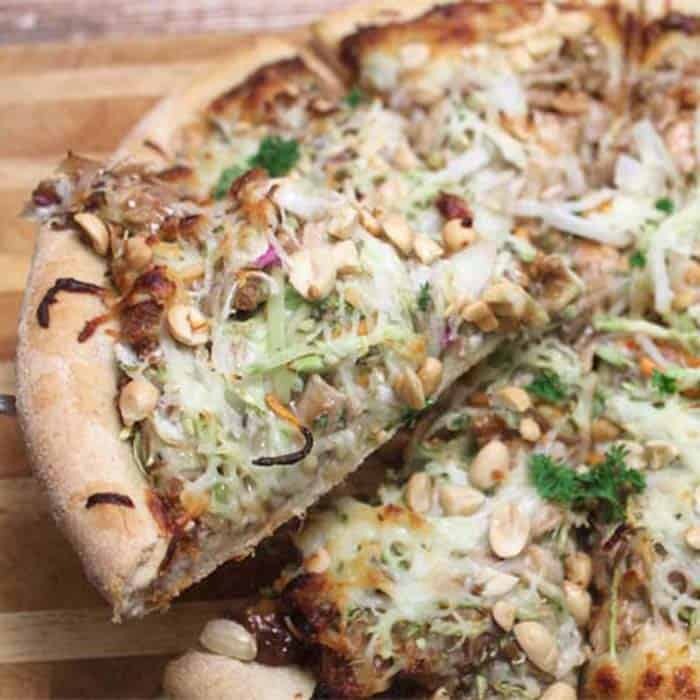 I’m seriously in love my IP and finding all these new recipes. This beef stew was one of the best we tried. Greek flavors are some of my very favorites! 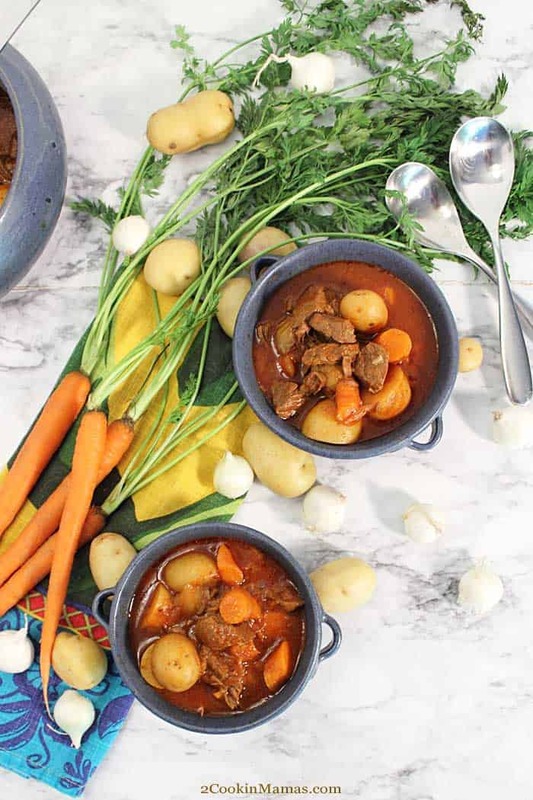 This stew looks incredible and I love that I get to use my Instant Pot!